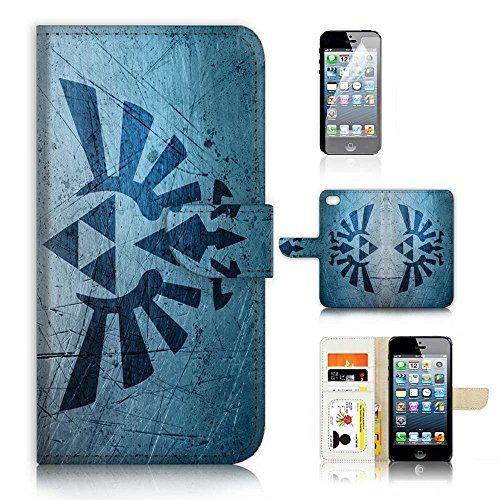 ( For iPhone 8 / iphone 7 ) Flip Wallet Case Cover & Screen Protector Bundle - A21402 Legend of Zelda Sign by Pinky Beauty Australia at All Company Mobiles. Hurry! Limited time offer. Offer valid only while supplies last. Thank you for looking at our product. It's a flip type cover with credit card slots and cash layer. All the picture on the phone covers are printed. If you have any questions about this product by Pinky Beauty Australia, contact us by completing and submitting the form below. If you are looking for a specif part number, please include it with your message.